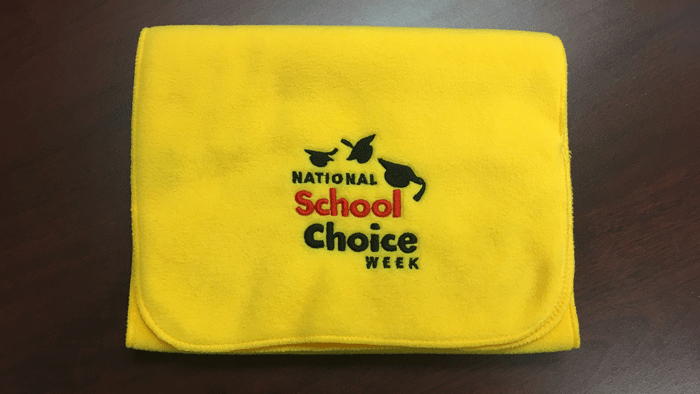 National School Choice Week has been going strong for seven years now, this year with over 40,000 celebrations taking place across the country. Since 2011, kids and families nationwide have broken out their signature yellow scarves and danced to show their appreciation for the educational opportunities they would not have had without the power to choose their school. Over the years, The Philanthropy Roundtable—via its signature National Forum on K-12 Philanthropy and Annual Meeting—has highlighted philanthropy’s role in bolstering school choice at the federal, state, and municipal levels. Donors can register for the 2019 K-12 National Forum, April 3-4 in Denver, here. Attendees will have the chance to see up-close how Denver families make decisions around choosing educational opportunities. Site visits will include charter school models, school-to-career programs, industry partnerships, and curricular offerings that promote entrepreneurship and employability. Support for school choice has long been a hallmark of the Roundtable’s K-12 education programming and has been prominently featured at events over the last two years. Most recently, the 2018 National Forum on K-12 Philanthropy featured visits to schools of choice such as Gestalt Community, Soulsville, and St. John’s Elementary. Discussions throughout the event centered around philanthropic collaboration and alternate forms of school governance that have taken hold in Shelby County, giving parents more of a voice in their child’s schooling. The 2017 National Forum on K-12 Philanthropy in Washington, D.C. hosted a panel discussion on the potential of a school choice program at the federal level. This discussion was supplemented by school visits and panels that highlighted the best of D.C.’s robust charter school sector, which has contributed to improved student outcomes across all public schools in the District of Columbia. Later that year, the 2017 Annual Meeting in Scottsdale, Arizona featured a visit to the Foundation for Blind Children, an incredibly inspiring institution designed to educate both adults and children who are visually impaired. Donors also heard from parents and families who benefit from Arizona’s Education Savings Account program, which allows public, per-pupil funding for tuition, therapy, and school supplies. During the 2016 Annual Meeting, donors attended a pullout gathering on the supply side of school choice and how donors can aid in building up the supply of high-quality schools through facility support, leadership development, policy and advocacy work, and identifying promising school models. Learn more about The Philanthropy Roundtable’s K-12 Education Program here. Since you are interested in Education, have you read these selections from Giving Compass related to impact giving and Education? Giving Compass' Take: • Christensen Institute discusses what education leaders had to say about personalized learning journeys: Paths aren't always a straight line. • Those who work in the sector should relate to the stories in this piece and find inspiration for their own efforts. The question is worth asking: What do our mistakes teach us? • In this article, The 74 rethinks how to best deliver personalized to students. When Yanaiza Gallant joined East Providence School District’s Orlo Avenue Elementary School as principal it was categorized as a “priority school” in the lowest-achieving five percent of Title I schools in the state. And at school community events, she noticed low participation rate from families. Gallant knew she had to awaken a positive culture of learning in the school and among families to ensure first and foremost that students succeeded, and over time that teachers and parents could be proud to be part of this community. Gallant started with a simple ritual. The administration held a daily morning meeting for students, parents, teachers, and staff with the goal of sharing any and all positive things happening at inside the school. Leading by example, Gallant spoke of these small successes with a growth mindset, and students began to feed off that energy day after day. With encouragement, teachers began to adopt a growth mindset as well. They wanted above all to get to know their students’ needs – socially, emotionally, and academically. This spirit drove more teachers to start looking at student data and understanding more precisely how they could effectively support student learning. “Teachers became learners,” Gallant said. “Staff meetings [now] look the same as classrooms. Teachers share goals, positive thinking, and growth mindset. Students have choice, voice, and an understanding of their goals.” Read the full article about failing forward and learning transformations by Jenny White at Christensen Institute. If you are looking for opportunities to take action and give money to Charter Schools, here are some Giving Funds, Charitable Organizations and Projects aggregated by Giving Compass where you can take immediate action.